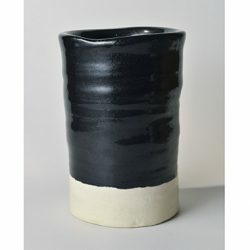 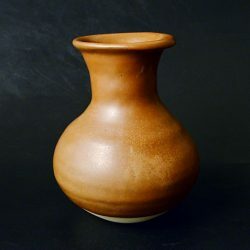 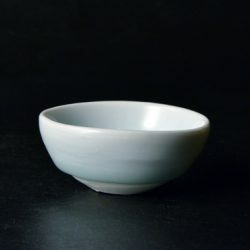 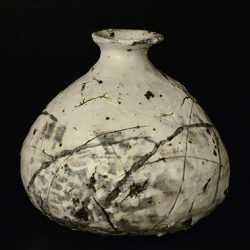 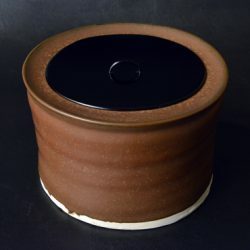 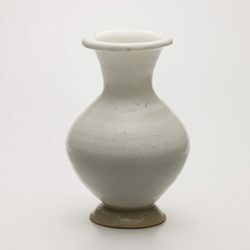 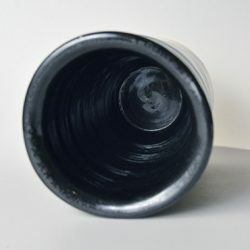 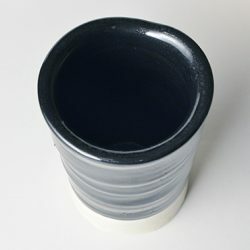 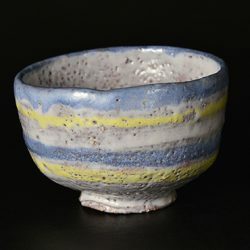 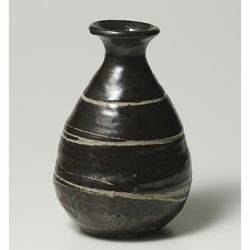 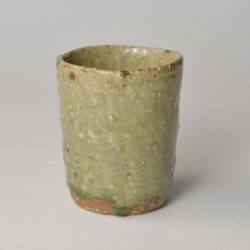 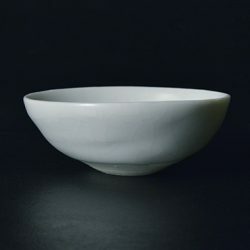 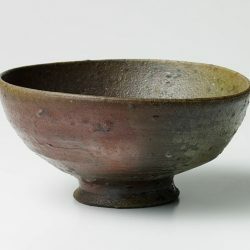 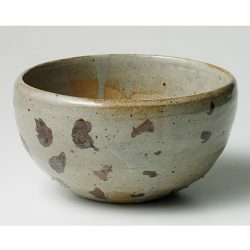 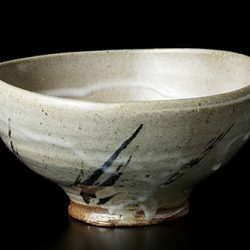 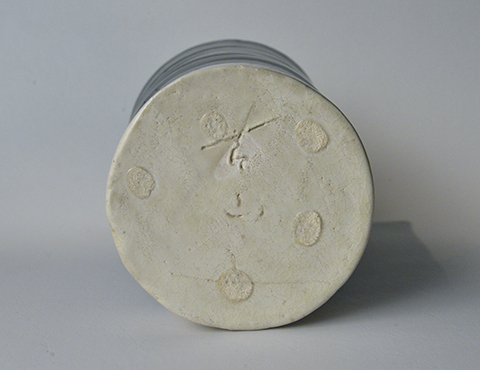 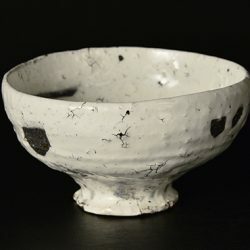 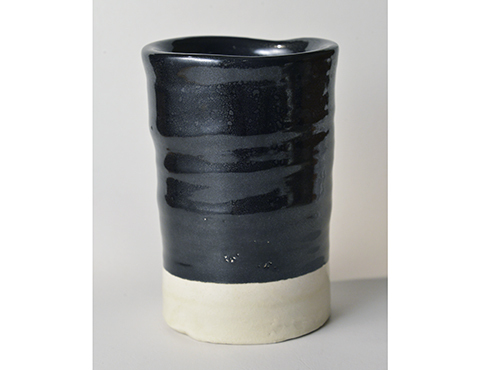 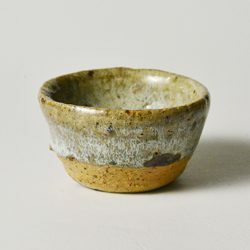 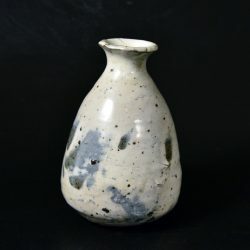 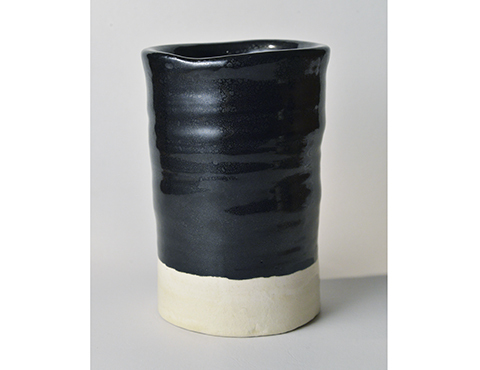 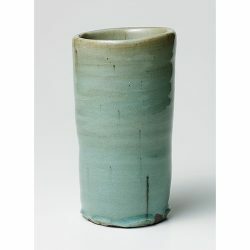 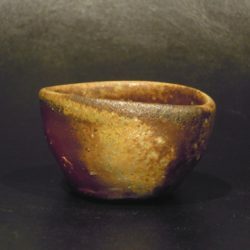 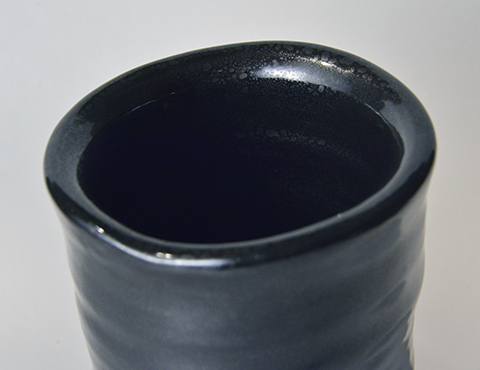 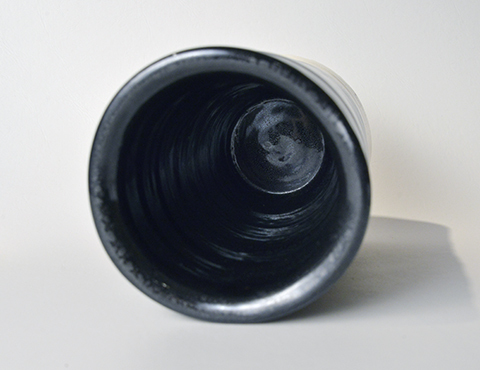 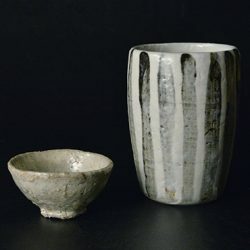 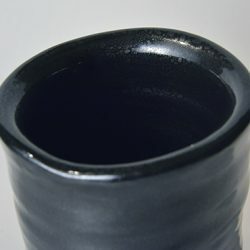 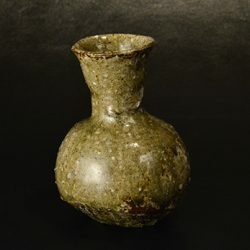 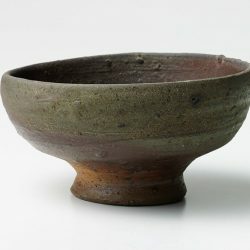 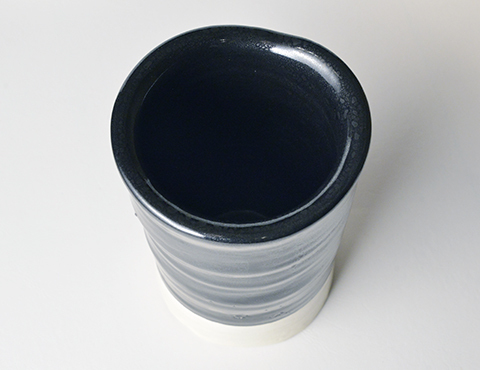 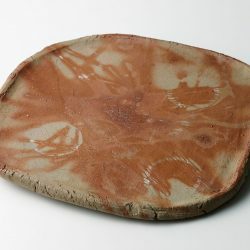 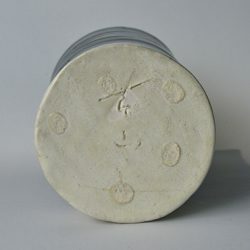 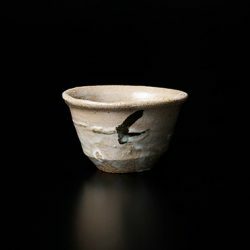 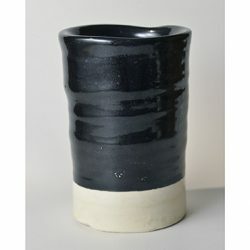 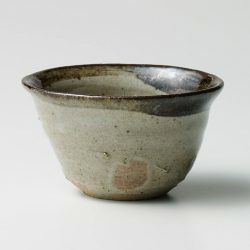 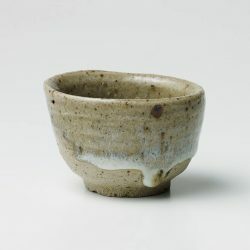 Thick iron glaze is highly contrasted with the white clay at the bottom. 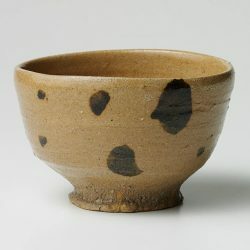 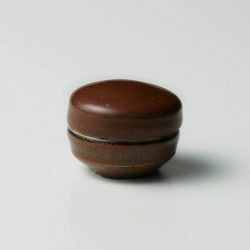 His characteristic use of clay is presented in the forms that the limb is gradually opened at the mouth. 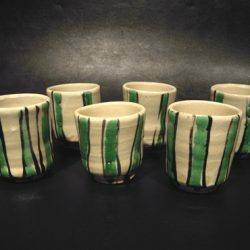 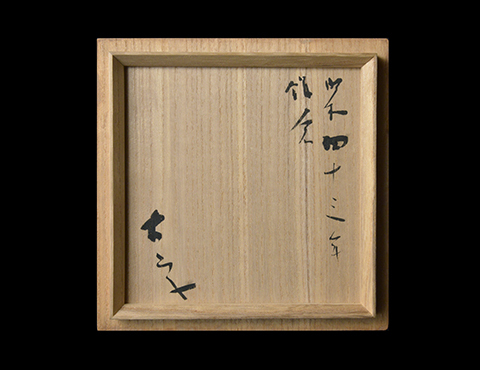 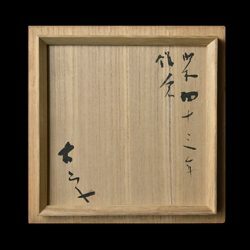 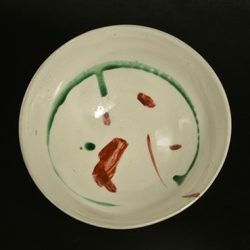 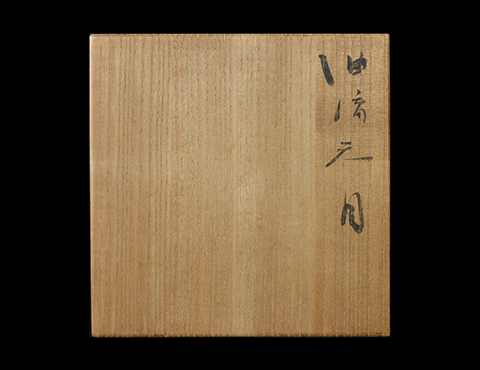 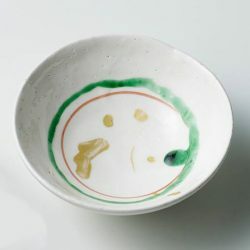 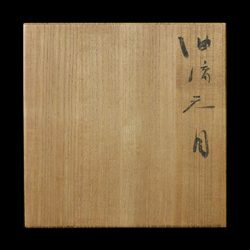 You can see the various expression of Yuteki (Temmoku glaze) by the lights and shadows that are made by the wheeling marks. 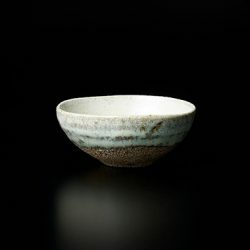 It evokes viewers the mysterious water surface lit up by the moon.